As this year comes to an end, we are all trying to predict what’s going to be “hot” in 2016. I’ve already heard a few terms and buzzwords like hyperconnectivity and micro-moment floating around. And while there is truth in all of these trends, they’re all heavily focused on the technology side. I think there’s another angle that we are overlooking: the human side. I believe that next year is going to be about the person, not the brand or the corporation or the publisher. What it boils down to is that new tools and technology can make experiences personal again, which redirects the focus to people. And brands that put people first are more likely to succeed in this new environment. We live in the era of disengagement. It’s a world where society has lost faith in the system (politics, work, faith and corporations) but not in the people. In politics, defections from political parties have doubled in the past 50 years, which is largely because political parties can’t seem to agree on anything. According to Gallup research, 7 out of 10 employees aren’t engaged in their work at the office and they don’t feel their work is meaningful enough. The exit from religious affiliations has doubled in the past 20 years. Most of the new generations don’t trust message coming from brands because they see brands as being self-interested and view their messages as being financially motivated. All of these factors are forcing people to take ownership of their lives. There is no guaranteed job anymore. The state is not likely to take care of you. Your partner might not stick around. I know these scenarios sound a bit depressing, but they reflect the reality of the situation. There is a silver lining: Today, people have access to platforms that can help jump-start their business at a scale and with almost no cost. We can call it the people economy, where the face of the organization is the people and not the corporation. This economy tends to be driven by brands that put people first. The face of Huffington Post isn’t the Huffington Post, it’s the writers. People have access to these journalists via personal profiles and social media that enable readers to have a dialogue with them. The face of LinkedIn isn’t LinkedIn, it’s all of their members– like me– who have profiles, post articles and are engaged through comments, likes or messages. The face of Skillshare is not Skillshare, it’s the thousands of people who are teaching classes. The face of Lending Club isn’t Lending Club, it’s both the people who you can invest in and the investors. You know users’ names and their history, which fortifies trust that they will pay you back for your loan. People care about people, not products. When a society loses faith in the system, they go to the foundation: the people that share their values and beliefs. Technology has the power to take us apart and bring us together again. But in times of disengagement, we need a human face. 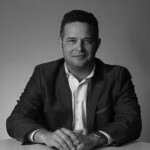 Alberto Brea is the Executive Director, Engagement Planning at OgilvyOne Worldwide. He previously held Vice President roles in marketing and advertising with agencies such as RAPP, McCann Worldgroup, Grey and Digitas – and he was a Partner at Olgivy & Mather. Mr. Brea was honored this year with awards from both Ad Age and The Shorty Awards. He has MBAs from Northwestern University and Loyola University Chicago. Alberto has contributed several pieces to ExecutiveVine.com, and you are able to follow him on LinkedIn.